Princeton Nutrients Joint Support Review – Is This Product Safe To Use? Princeton Nutrients Joint support is an all-natural and innovative supplement that is designed and made using 100% natural ingredients. Prince Joint Support is available for purchase over the counter without the need for a prescription. It is available from the official website and in other leading online and physical outlets. What is the Company Behind Princeton Nutrients Joint Support? Princeton Nutrients Joint Support is a relatively new formulation in the market that claims to help in the recovery of aging and worn out joints. The producers claim that this product is designed to ensure optimal performance of the joints. It is manufactured by a company known as Princeton Nutrients. What are the Ingredients Used in Princeton Nutrients Joint Support? White Willow – White willow is a tree that was popular in ancient Asian medicine. The bark of this tree contains an active chemical called salicin. This chemical is said to be similar to aspirin. It is used to fight joint pain and inflammation. Boswellia Serrata – It is also called the “Indian Frankincense”. It helps reduce pain caused by inflammation, swelling and improves cartilage formation and repair. Turmeric and Black Pepper – Both turmeric and black pepper contain powerful anti-inflammatory compoundsand anti-oxidants. Black pepper also promotes intake of other compounds. Natural Eggshell Membrane – Eggshell membranes are known to promote joint health in multiple research studies done. Clinical trials. How Princeton Nutrients Joint Support Works? Princeton Nutrients Joint Support is designed as a supper support product. It is meant to restore the body to a state where it can cater for the joints. It does this by ensuring that the body gets supplied with all the ingredients it might need to maintain proper joints and stronger connective tissue. This product is thus not designed to work overnight. Users should be patient with the product as it can take between one to several weeks old. Although this product is recommended for persons with arthritis, it doesn’t cure arthritis but it improves the quality of life of persons with arthritis. What are the Pros of Princeton Nutrients Joint Support? The manufacturer gives a money back guarantee of all un-opened bottles. It is made into easy to swallow capsules. What are the Cons of Princeton Nutrients Joint Support? The official website doesn’t give much data on the product. The producers recommend taking two capsules daily on an empty stomach. The producers recommend that you take them in the morning on an empty stomach. You can take them with water, the capsule is designed small and easy to swallow. If you got this product from your caregiver, ignore this dosage instruction. Is Princeton Nutrients Joint Support A Scam? This product is manufactured by a reputable company. They claim that they have gone to extreme lengths to ensure that the product works fine. All the same, they claim that they cannot guarantee that it will work on you. This is not a special case since we know that everyone responds differently to supplements. Some customers have already written positive feedback on the working of this product and thus we can confidently say it is not a scam. 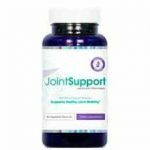 Considering the numerous positive reviews this supplement is getting, we can say that Joint Support by Princeton is a legit and reliable joint support formula. The product is attractable since it comes with a money back guarantee and use all natural ingredients that have been proven safe to use. If you take this supplement without any high expectations, you will be surprised by what it can do.